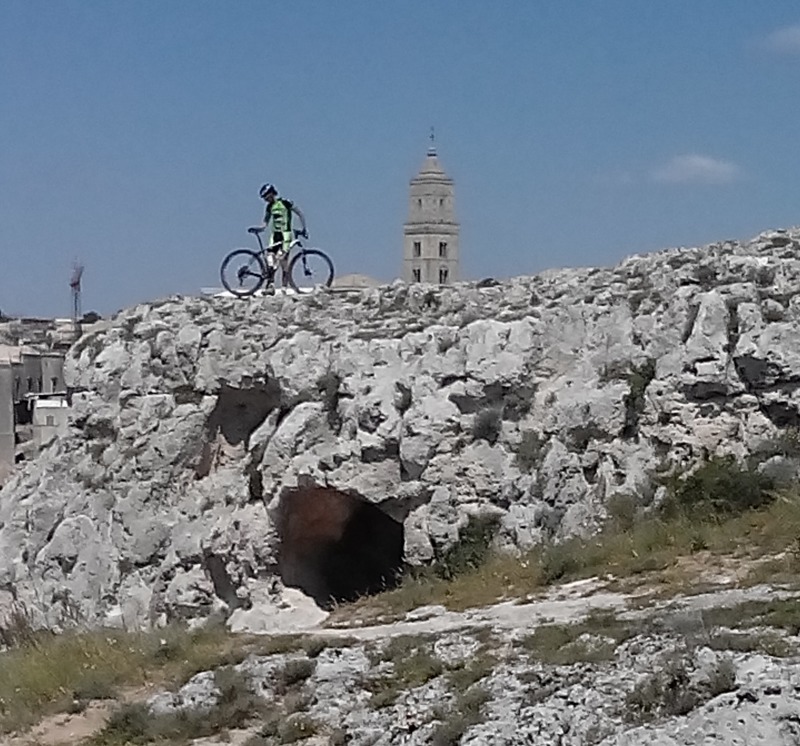 With this MTB tours you fully enjoy the wonders of Matera, the famous city of Rocks. Running technical assistance with the possibility of having our minivan in town. 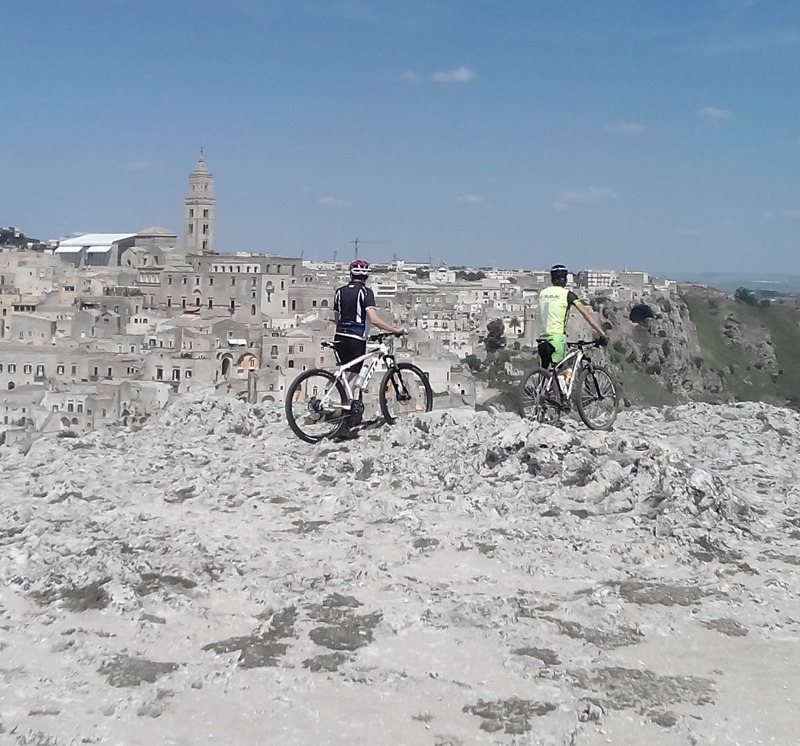 Arrival on your own in Matera and get settled in at your hotel. Your guide will introduce you the tour and delivering technical and tourist material (maps, profiles, etc.). 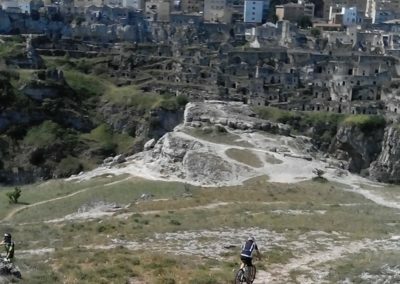 In the early afternoon you will start cycling from the Sassi district to Murgecchia, following the edge of the canyon opening with a view over the old town. 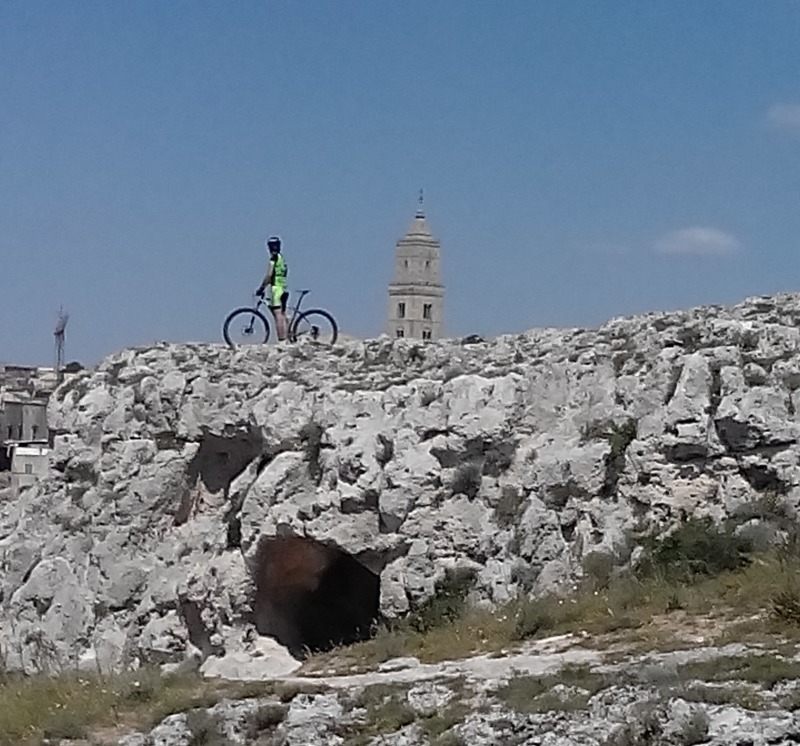 Among rocks and ravines seemingly inhospitable, you can visit this village with rock caves and churches. Back to the city. Typical dinner at a restaurant in the Sassi and overnight stay. 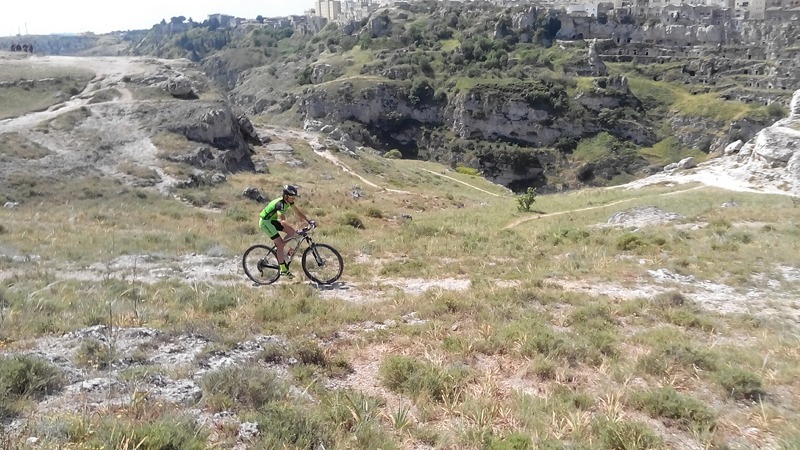 Starting from the historical center, the route will take you to the Park of Rock Churches (Murgia), including caves, gorges, ancient folds and rock churches on single tracks and trails overlooking the canyon of the Gravina river. 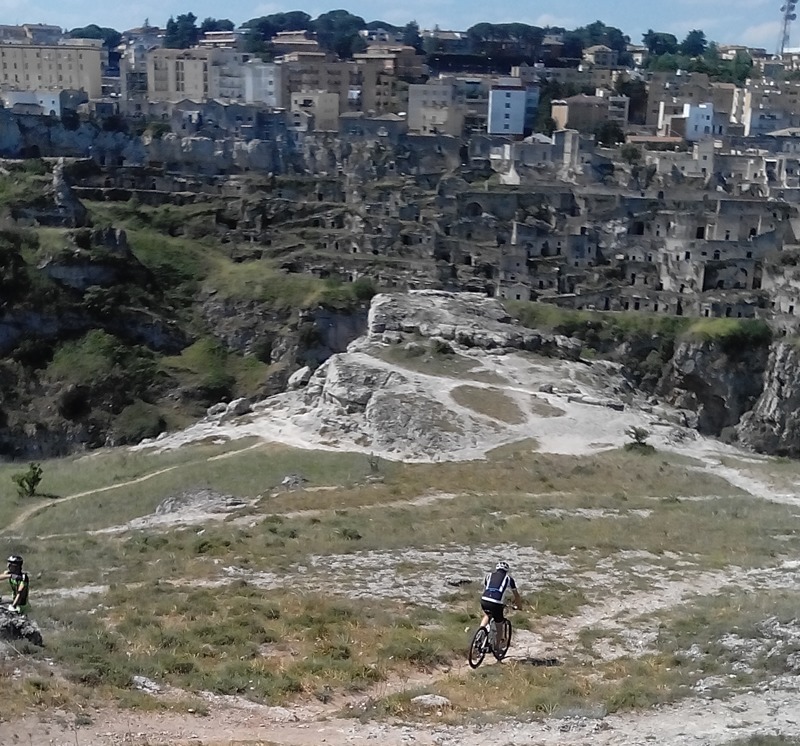 After a picnic in an old sheepfold you will return to the city, passing through the remains of the ancient quarries. Dinner on your own. From the city center, after few km over asphalt, you reach the San Giuliano Lake, a peaceful natural oasis destination of migratory species from Africa. 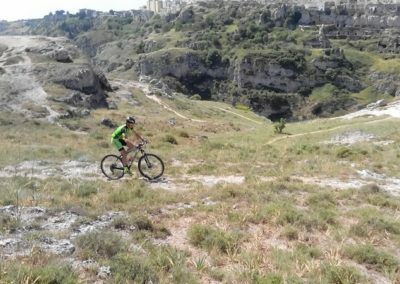 The route runs in a surreal environment of the clay gullies, narrow paths to reach the hill Igino a nice plateau from which you can enjoy a 360 ° view of the entire region. 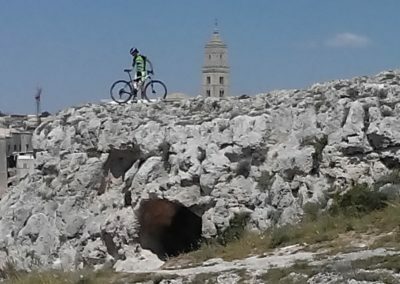 After a difficult downhill you reach the Crypt of the Original Sin with the oldest frescoes in the area. 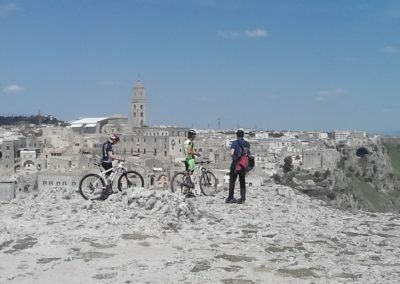 Lunch break and back to Matera in the early afternoon. Dinner on your own. Stages: 40 to 65 km to be covered in 3 to 6 hours during the day. 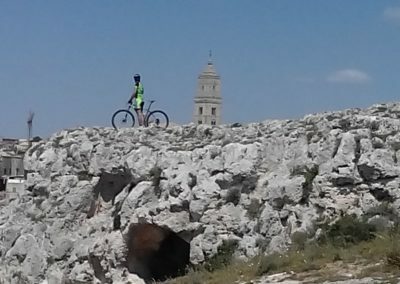 3 nights in a double room,1 dinner (including ¼ wine and ½ water), cycling guide, technical assistance and for emergencies, Map with altimetry, Guided tour of Matera (day 1). Massages, sauna and turkish bath (on demand).